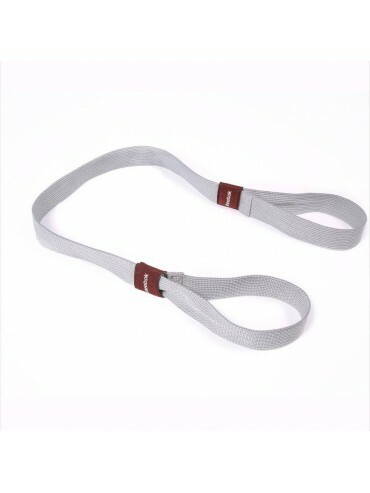 A Yoga strap for all mats. The Reebok Yoga Mat Strap is a lightweight harness that easily fits any size mat. 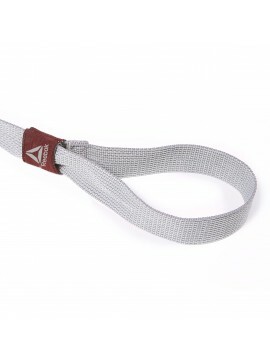 Simply pop the loops around the ends of your rolled mat and the strap will tighten as you pick up the carry handle. Extremely easy to remove, the Yoga mat strap is ideal if youre on your way to Yoga class - and possibly a little late - as you simply loosen the carry strap, unroll your mat, and away you go. 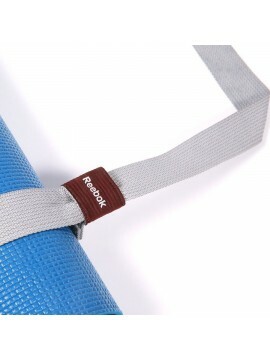 Keeping a firm grip on your Yoga mat on the move, therell be no need to put it inside a Yoga bag.